OHCHR’S FAITH FOR RIGHTS – A NEW PLATFORM TO ADVANCE DIALOGUE ON HUMAN RIGHTS WITH RELIGIOUS COMMUNITIES AND NON-RELIGIOUS ACTORS IN CYPRUS? OHCHR’s initiative “Faith for Rights”, introduced to Cyprus’ religious communities and civil society representatives at the Office of RTCYPP’s Third Round Table for Human Rights in Cyprus, could prove essential in finding a new platform for a cross-disciplinary dialogue with the aim to advancing human rights on the divided island. Launched by the United Nations Office of the High Commissioner for Human Rights (OHCHR) in March 2017 “Faith for Rights” aims to strengthen and deepen the connections between religions and human rights. The initiative, which consists of the “Beirut Declaration” and its 18 Commitments, was presented at the Third Round Table for Human Rights in Cyprus on 28 September, convened by the Office of RTCYPP. - Faith for Rights is essentially trying to create a space for cross-disciplinary reflections on the connection between religions, faiths, and human rights. It aims to be inclusive and open up space for discussion, Roanna Tay, Human Rights Officer with OHCHR who introduced and presented the UN body’s initiative at the round table, says. The Beirut Declaration builds on the 2012 Rabat Plan of Action and calls on believers of all faiths to pledge their will to defend fundamental human rights against discrimination and violence. While the declaration itself sets out general guidelines, the 18 commitments are more concrete with specific details on different rights. Roanna Tay stresses Faith for Rights’ versatility and potential for bridging divides and finding commonality among different actors, not least with using the UN body’s initiative as a platform for bringing people together for fruitful dialogues with tangible actions and results. - The declaration and the commitments are tools for dialogue, but we do not want it to stop there. While dialogue is important, it is not an end in itself. These documents are intended to be used as platform for concrete action on the ground, she says. Salpy Eskidjian, Executive Coordinator of the Office of the Religious Track of the Cyprus Peace Process (RTCYPP) and convener of the round table, concurs with Roanna Tay. She says there is a need for a mechanism that can inform and educate all communities in Cyprus on fundamental human rights including freedom of religion. 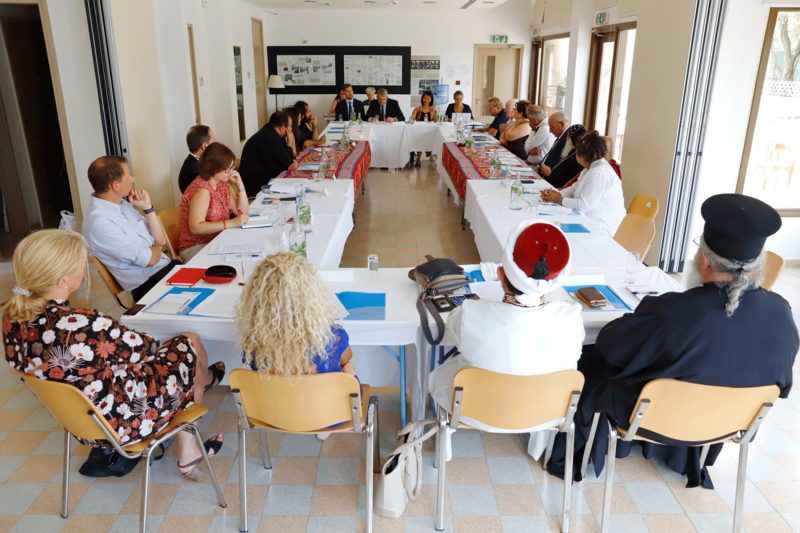 The RTCYPP Third Round Table for Human Rights on 28 September brought together some 20 participants from the civil society including religious communities in Cyprus. The discussions focused on the Faith for Rights and finding ways and means to put the Beirut Declaration and its 18 commitments in a Cypriot perspective. - It was an open and candid discussion and it is clear that we don’t have this space or mechanism today where different faith communities can discuss and learn more about human rights, Salpy Eskidjian says. 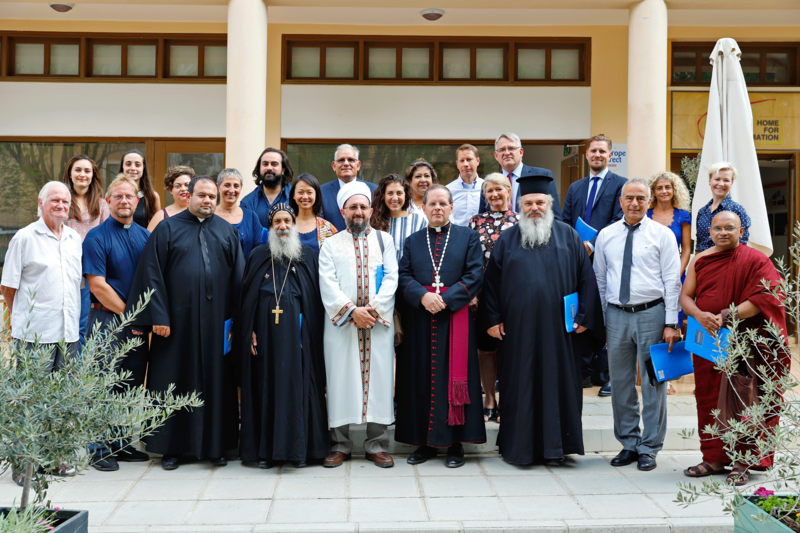 Through our work in Cyprus since 2009 we can confidently state that there is lack of trusted shared spaces for such learning, dialogue and action which also includes the religious communities in Cyprus. Many of the participants pointed to two factors that could foster a better understanding for human rights among faith communities in Cyprus; education and children. - Human Rights education is crucial in any society, Salpy Eskidjian says, emphasizing the need for concrete actions to better educate children and youth in all communities in Cyprus on human rights and to advance them. The previous Round Tables for Human Rights, held in 2013 and 2015 respectively, have been successful and inclusive but the tangible results in between the discussions have been limited. The Beirut Declaration with its 18 commitments could prove to be the cross-disciplinary vehicle needed to engage the faith communities on human rights in Cyprus, not least with children in mind as one of the target groups. - The UN OHCHR would be very pleased if the Office of the Religious Track, together with religious communities and other civil society representatives in Cyprus, could pave the way and bring this discussion forward in a process with concrete projects. Having religious and non-religious actors come together to initiate a cross-disciplinary dialogue on human rights such as the RTCYPP Round Tables for Human Rights in Cyprus is definitely a start. And with the Office of RTCYPP already working on developing ideas on how to use commitments in the Beirut Declaration in a Cyprus context, prospects for tangible results and concrete actions based on the discussions are more than promising. - The Office of RTCYPP has committed itself to contributing to the UN OHCHR Faith for Rights initiative by introducing it and making it relevant here in Cyprus, through platforms like the RTCYPP Round Table for Human Rights, the RTCYPP website and our social media outlets. We are also providing the Greek and Turkish translations of the Declaration and its commitments to the OHCHR for their use and sharing. We hope to further discussion and action on rights with all the leadership and representatives of the faith communities in Cyprus using specific commitments to start with, Salpy Eskidjian says. We will also explore ways to work with children and youth. Whatever the outcome, it is clear that the Office or RTCYPP’s Third Round Table for Human Rights in Cyprus sparked an interest for OHCHR’s “Faith for Rights”. It could very well be that a new platform to advance dialogue on human rights with religious communities and non-religious actors in Cyprus has been identified. In March 2017, the Office of the UN High Commissioner for Human Rights (OHCHR) launched its initiative on ”Faith for Rights” with an expert workshop in Beirut. The objective is to foster the development of peaceful societies, which uphold human dignity and equality for all and where diversity is not just tolerated but fully respected and celebrated.